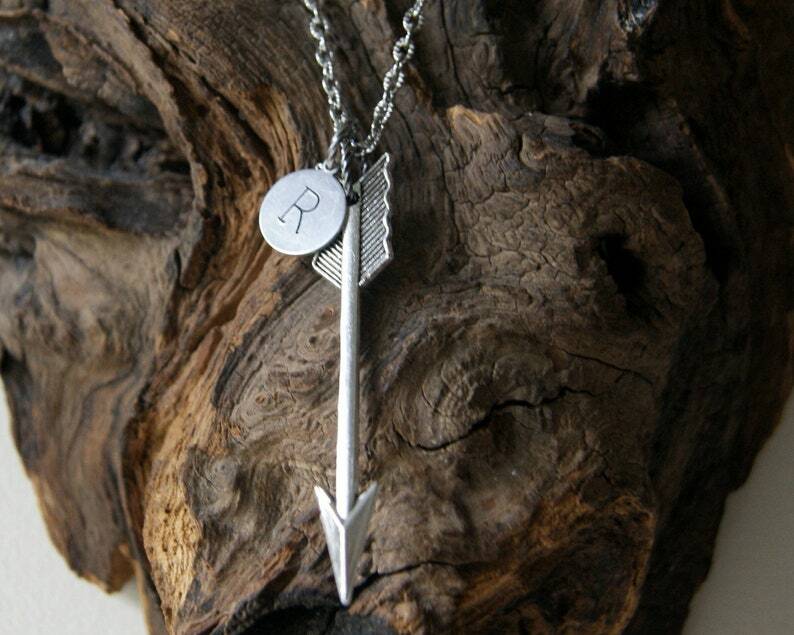 A plain silver arrow with an aluminum initial charm, stamped with the letter of your choice. The typewriter font is uppercase. You can see a sample of the letters in the last photo. 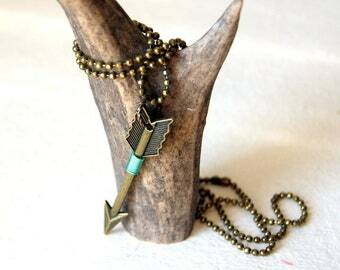 The arrow and the initial charm hang from separate jump rings. They hangs from a stainless steel cable chain. 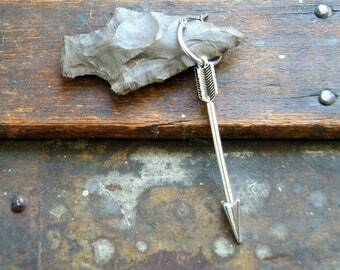 The arrow measures 2 1/2" . The necklace measures 26". If you would like it shorter, leave me a message in the 'note to seller' box when you check out with the desired length.